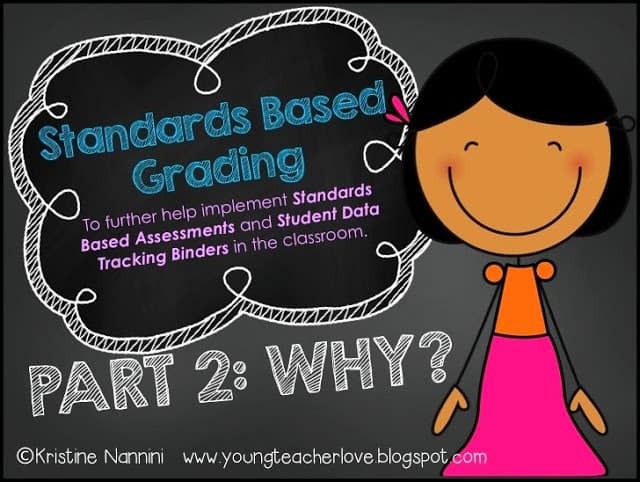 I’m back for part 2 of this standards based grading journey! For those of you interested in the what or part 1 of this blog series, click HERE to check it out and click HERE to read part 3. Thank you to all of my fabulous readers for your insight and comments. It means so much! I do hope these posts help some of you in some small way! 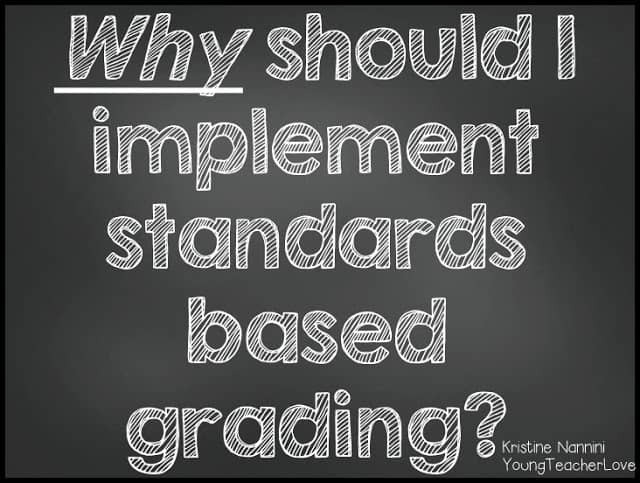 For this next post, I am going to break down the why of standards based grading. 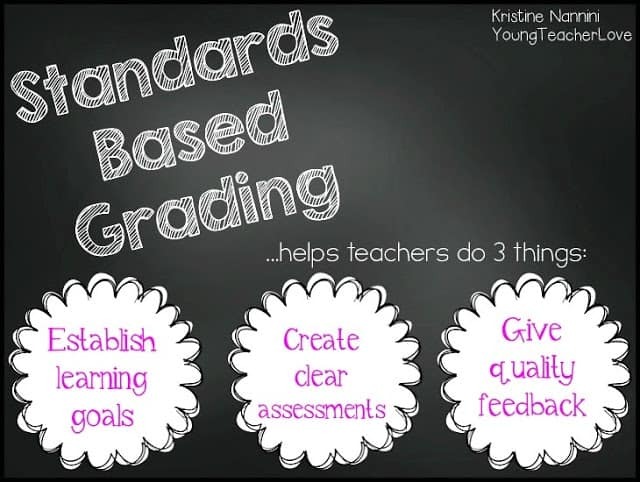 *I will cover more of the above information in my next blog post about how to implement standards based grading. 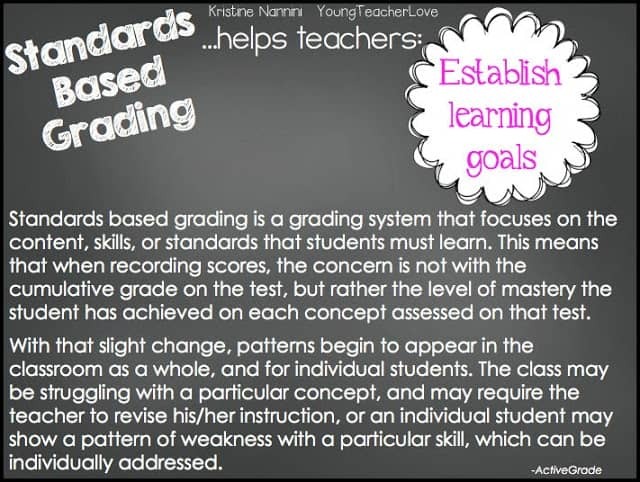 *My assessments will help those that are already in standards based grading, are just starting out with standards based grading, or are not using it at all. 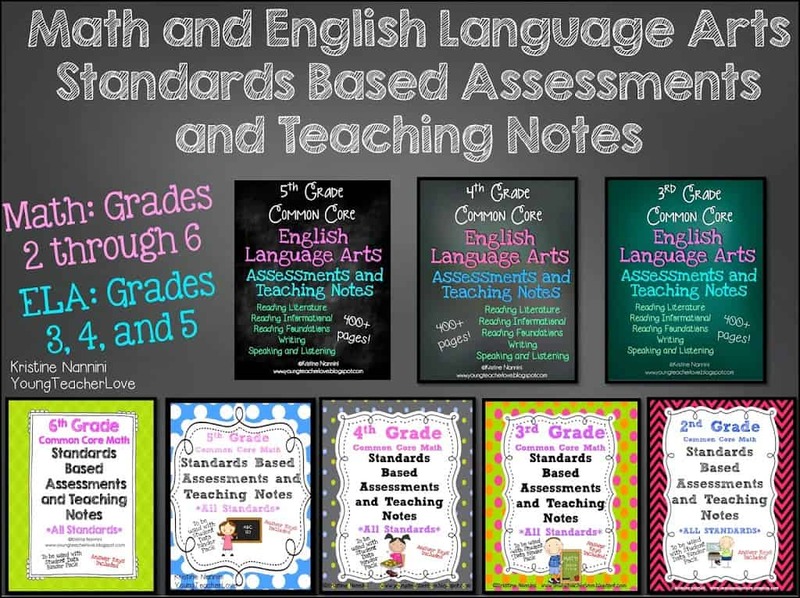 I have created these assessments to help EVERY SINGLE teacher, no matter their style. Click HERE to check them out. Don’t forget about part 1! Below is a snapshot from part 1 that can be found HERE! You can now check out part 3 here, and grab all of this info in a HUGE freebie! 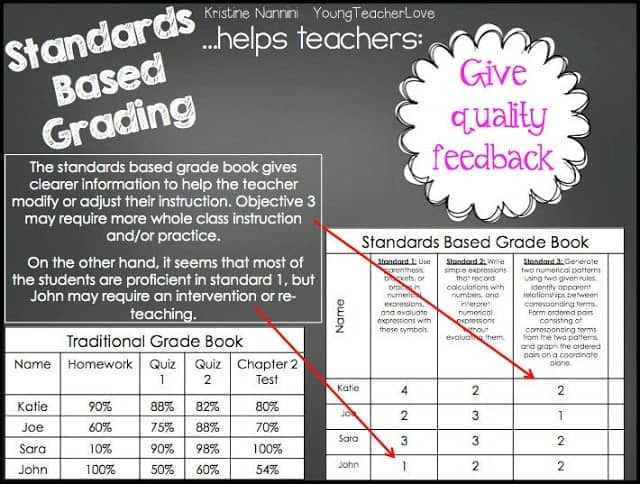 For those of you interested in how I track data and use my standards based assessments in my classroom, use the labels found on the side of my blog (Data Binders and Assessments) to read all of my blog posts! I appreciate any and all of your thoughts and comments! Thanks for reading! This is incredibly helpful! I even created a new Pinterest board just for your slides. What books, in addition to the Marzano book, have you been reading/websites visiting/trainings attending to synthesize this info? Wow! You have given me a lot to think about. I’ve tried doing math workshop to meet the needs of my students but the time restraints always overwhelm me. I can’t wait until your next post=)Thank you! You are amazing! 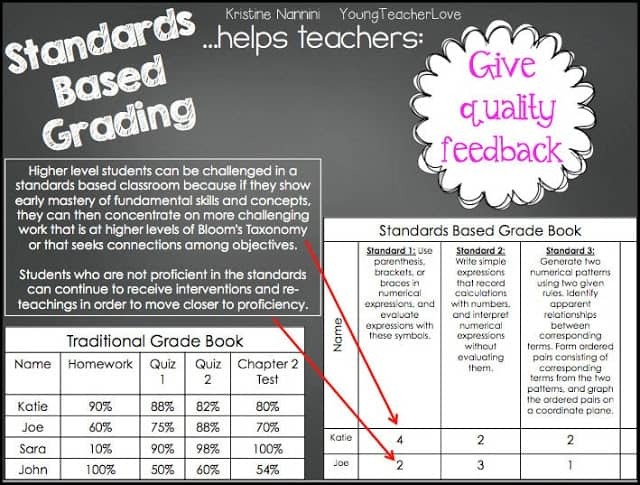 We’re moving towards a standards based report card this year-and I’m loving this how to. I’m excited for the 4th grade ELA pack, it will really help add in that extra ‘oophm’ to my literacy block. Thank you!!! I really appreciate how you have broken this down to be something simple. 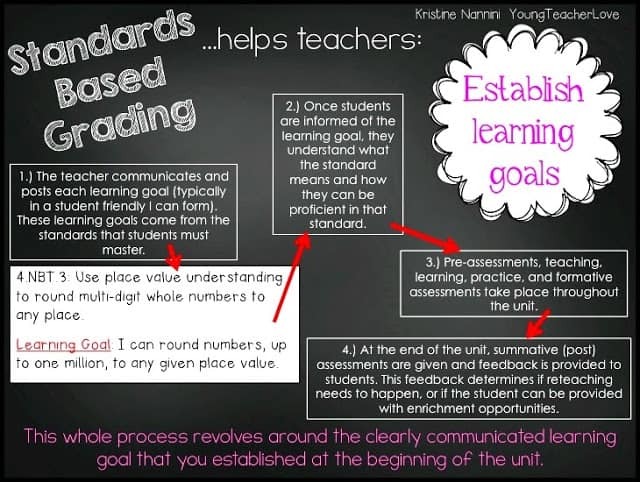 I implemented this two years ago and saw a dramatic increase in my students desire to learn. They were able to communicate what they didn’t know and were less concerned about a “grade”. You have done an excellent job of making it a bite sized task! Thank you! Thank you so much for sharing! I would love to hear more about how you manage assessment and collection of data! This is a great post! 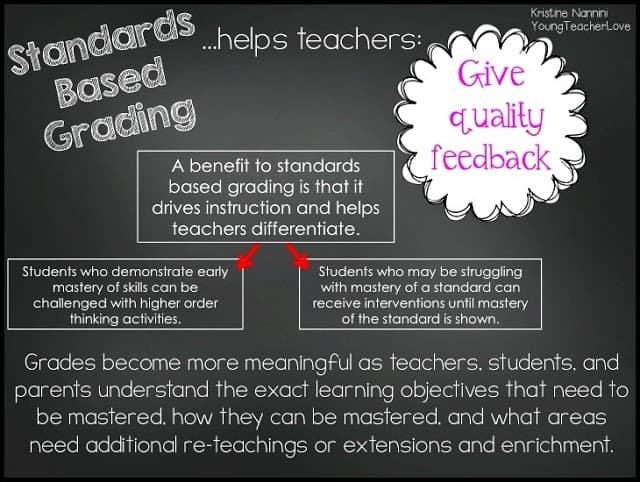 I completely agree with all of your points, especially the one about student feedback. 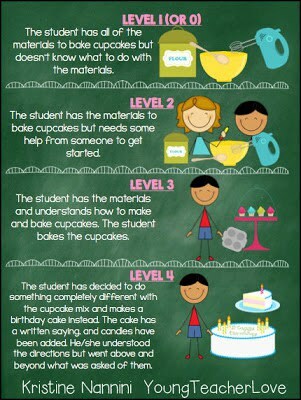 It is so important to differentiate our instruction to meet students’ needs. 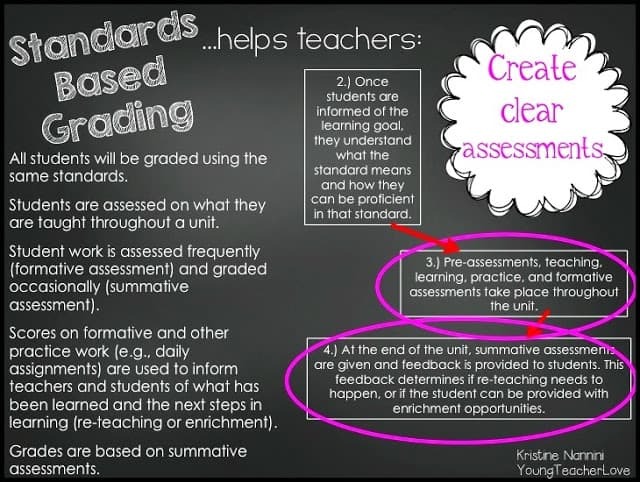 I like the standards based assessment, but how do you convert this to numerical grades? I still have to give numerical grades and not sure how to translate the levels to numerical grades. 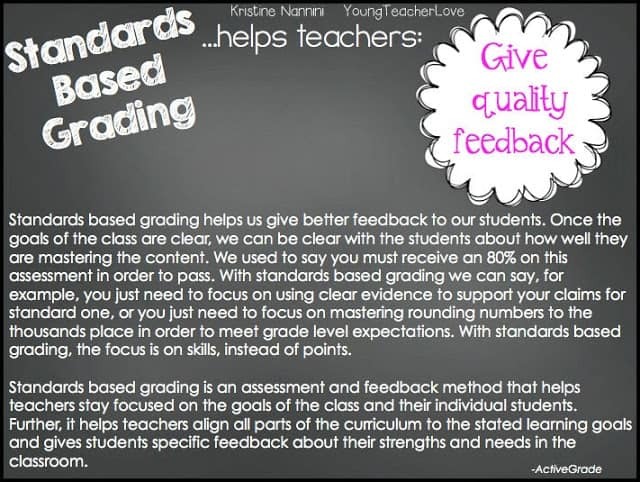 @Kimberly- You don’t have to use standards based grading to use these assessments. They have 10 questions for each standard which makes it easy for grading with percentages. I actually was still using percentages with these assessments last year. Also, if you look at my first post, I included the scale of levels to percentages for anyone who was interested. I hope this helps! I am your newest follower… sort of! I have been reading your blog for ages and I have a TON of your created resources… you are seriously amazing! I teach 5th and 6th grade math and you saved me my first year! Thanks so much for everything, I don’t know how you do it… you’re awesome! 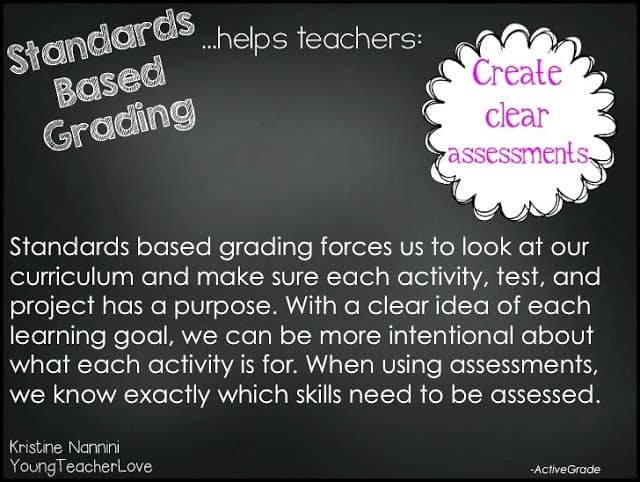 How do you use you teaching pack and assessments if you are not standards based? We teach several skills within a unit. I am a 2nd grade teacher. Do you have a data pack for 2nd grade? Hi Sheli- Thanks for your comment! At this time, I don’t have a 2nd grade version. Sorry! Please make one. I have taught 4\5 and bought and used all your stuff… I took over a second grade room desperate for a good teacher and i am lost with out my Kristin supplies!! !